A pop up wedding chapel right in the heart of First Night Raleigh – just for fun! Renew your vows, or just pretend to get hitched! Don’t worry, you’re not legally bound, but it’s fun to pretend! 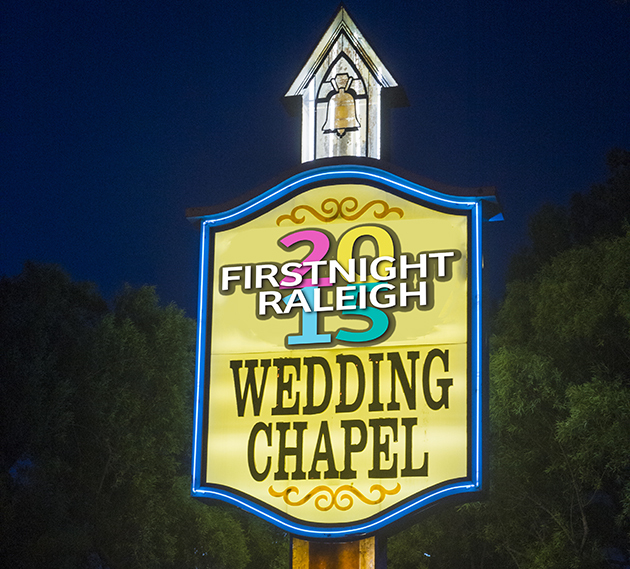 We provide everything you need to get hitched the First Night Raleigh way!